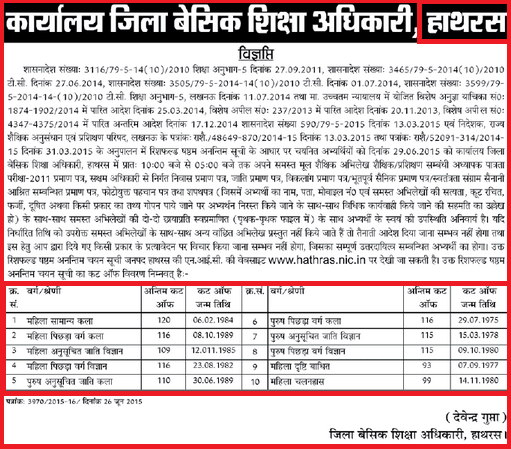 Uttar Pradesh Basic Educatiuon Department released/published news cut off merit list of UP DIET UPTET 2011 72825 Junior Primary School Teachers (Trained teachers) Recruitment JRT/PRT . 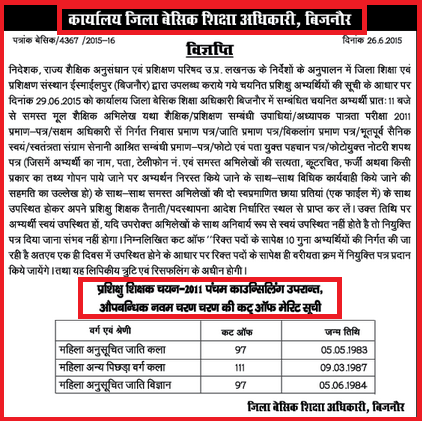 UPTET 72000 Shikshak Bhart cut Off Merit list related latest/current news today (Amar Ujala/ Dainik Jagran/ Hindustan Times). 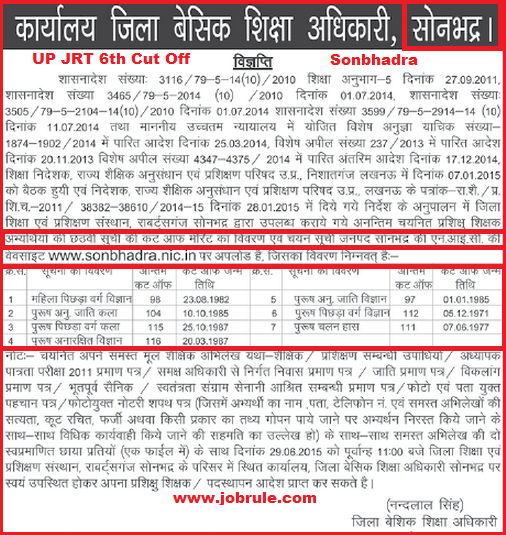 UP 6th Cut off list/7th Cut Off merit list of Sonbhadra ,Basti, Bijnor and Hathras district. 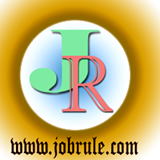 UPTET 72000 Prashikshu Shikshak Bharti district wise remaining /available vacancy details. Check UP 72000 New Cut off details below. 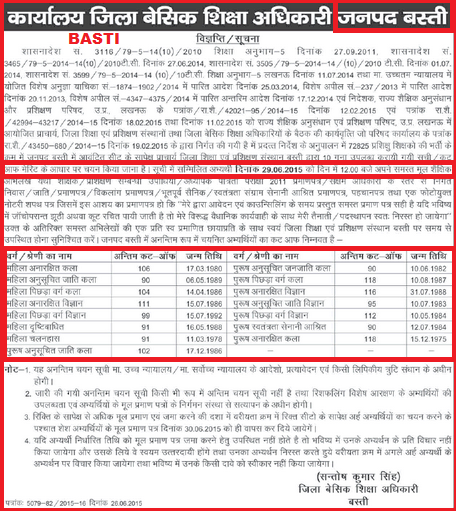 27th June 2015 News paper updates.